An Elvis tribute artist that Pays Tribute to the king like no other. He is one of the UK's most raved about up coming ETA'S with his show stopping performances. his show is set to his the theatres all across the UK in September 2019 but why wait that long? You can book as a solo tribute show or with his band. either way you a guaranteed to be blown away by the sheer talents. He is guaranteed to blow you away with this tribute show. the authenticity to this show is so close you feel like its Elvis himself. 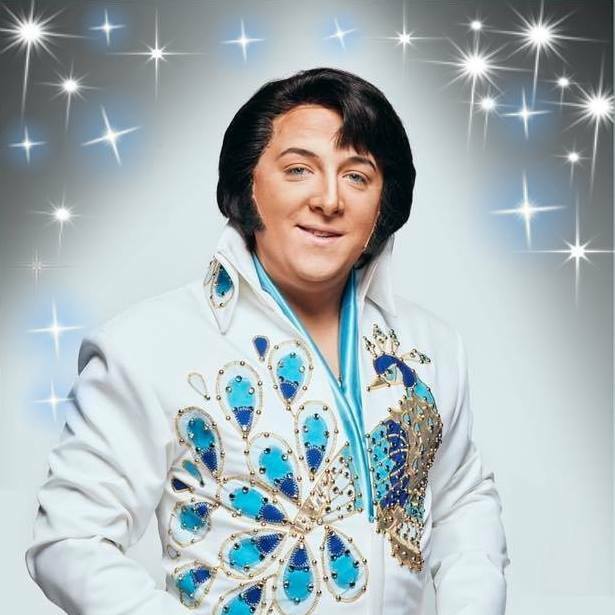 Costumes / Dress: Has a wide range of jumpsuits for all of Elvis years and leathers from the 68' special His wardrobe is always full of some of the king himself favourite and most recognised suits. Experience: Has worked all over Europe and has taken part in some of the most challenging competitions in Europe and finished up in the finals. Familiar face in almost all of the big Elvis festivals across the country through out the year. Previous Clients: Has worked in some of the most prestigious shows and for so many wonderful clients over the last few years.